Phone sessions are geared to provide you with the guidance and assistance that you are currently seeking. Blanca will cater your session to include whatever insight is presented to her in order to assist you in expanding your divine potential. During the session, Blanca will share any empathic insight that she receives and will also offer you the opportunity to receive a distant healing. Phone sessions are 75 minutes in duration. Recieve a distant email reading on relationships, career or general Guidance. $85.00/$90. In person Oracle Reading or Phone 75 Mins. In a detailed spread, Blanca will provide insight on all subject matters of concern or where guided is needed. It is suggested that you bring a notebook to take notes or you are also welcomed to record your reading session. To schedule a personal reading, please email Blanca at [email protected] or purchase a reading and Blanca will then contact you for scheduling. A detailed oracle reading can also be done over the phone. If you prefer a phone reading, simply purchase this service then email me at [email protected] and let me know you ordered a phone oracle reading. If you feel a deep calling to have a session with Blanca, and possess a deep commitment to grow spiritually, Blanca would love to meet with you. During a private session, Blanca will offer you a oracle reading, counsel you and then offer you a hands-on healing. If you are interested in connecting with me for a distant healing or session, this service will provide 90 minutes of intimate time. Our connection can be made via Skype or Facebook or if you prefer, we can have an email exchange and then schedule a time for you to receive a distant healing. Once the healing is conducted, I will follow up with an email sharing observations, inisight and useful suggestions. Attunements to the energy of Reiki require at least one hour of exchange/connection and possible healing homework prior to conducting/sending distant attunement. If you are inspired to be distantly attuned by me, we can begin by scheduling an hour session via phone/skype and then schedule distant attunement. All attunements include a certfication and instruction booklet as well as a 30 minute video to assist you in your progress. Gifts Certificates are a wonderful way of presenting someone with a healing gift! 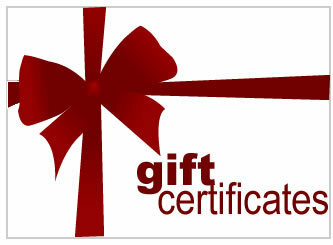 Gift Certificates can be used for any of the services listed in the "Service" link. Once you place an order, you will receive a gift certificate either by mail or by email that can be printed or emailed to someone!